PeaceGeeks' hackathons convene developers, designers, practitioners and communities on the ground to build peace. 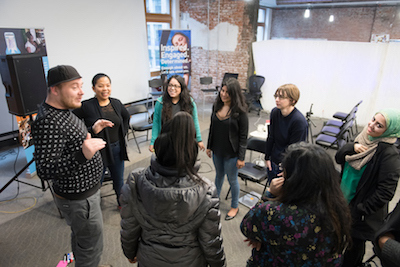 PeaceGeeks unites diverse stakeholders — subject matter experts, technologists, designers, community members — in hackathons to spur ideas and prototype digital tools that address urgent issues confronting communities. We typically host 1-2 hackathons per year. In partnership with community organizations and other nonprofits, we've held both "idea hackathons" using design thinking as well as traditional code sprints, and tackled issues including: local immigrant settlement, crisis response and secure documentation of human rights violations. 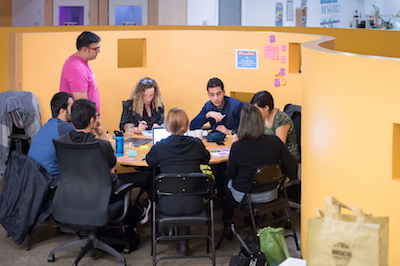 Whether inspiring and incubating innovative ideas or generating working code through collaborative software development, our hackathons produce results that are often sustained by PeaceGeeks in collaboration with community organizations. For instance, did you know that Services Advisor came out our hackathon? 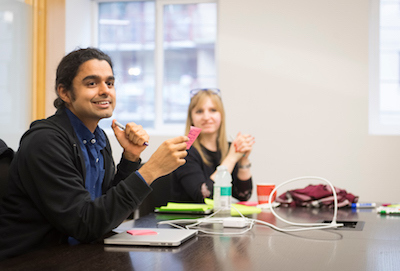 Take a look at our recent #peacehack to strengthen newcomer settlement with SFU. Stay tuned for news about our upcoming hackathons in 2018! Want to help us bring peacebuilding and technology together to build something for good? We're constantly looking for sponsors and partners to help us make hackathons possible.